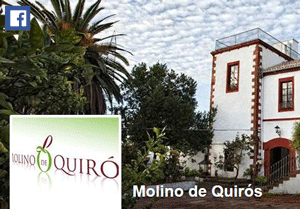 The olives our oil is extracted from come from two farms that have been joined: Los Cárdenes and Quirós. 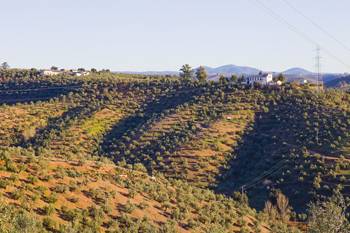 They spread over an area of 120 hectares ( 296 acres ) with almost 25,000 olive trees in the Sierra de Montoro mountains (a part of El Madroñal), dating back more than 250 years (as recorded in the 18 th century Marques de la Ensenada land registry). The olive oil is extracted from the olive variety called Nevadillo Blanco, a sub variety of the Picual, which grows mainly in Sierra Morena and specifically in the province of Cordoba . The most representative areas for this type of olive are Valle de los Pedroches and Montoro-Adamuz, so its production is really very restricted. The harshness of the weather conditions in the area has allowed the cultivation of this type of olive. It possesses organoleptic properties that make it unique: a fruity taste and a deep aroma, which, combined with its attractive old gold colour, make it without a doubt the best for 'natural' consumption and ideal in the so-called Mediterranean diet. Moreover, it possesses one of the highest degrees of polyphenols (antioxidants), which makes it the most oxidation resistant oil and, therefore, the most stable over time.